There are many reasons to shop for bare root plants for your garden, including lower costs and more variety. This is a guide about tips for buying and planting bare-root plants. 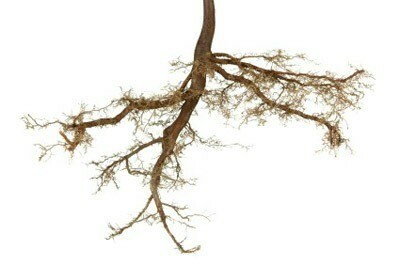 A bare-root plant is a nursery plant which has been harvested when dormant and sold without soil around the roots. Although they may look rather pitiful and lifeless at first glance, in reality they hold all of the potential to be some of the loveliest trees, shrubs, and perennial plants you'll ever grow. Here are some tips for buying and planting bare-root plants. It seems a bit bizarre to ship plants long distances with "naked" roots. But there are clear advantages for both the grower and the consumer. Cost: Because bare-root plants are less expensive for growers to produce and ship than potted plants, the savings (from 40 to 70%) gets passed on to consumers. This can really add up, especially if you're planting several plants of the same type (e.g. planting a hedge). Ease of handling: No lifting heavy pots or transporting messy dirt. Variety: You can find hundreds of rare and unusual varieties not available in pots. Adaptability: Bare-root plants settle into their environment more quickly because they don't have to adjust to the differences in going from container soil to your garden. They also tend to arrive with a more extensive root system than potted plants (one that has never been girdled or pot bound) which gives you a bigger bang for your buck and a better chance of success. Success with bare-root stock has a lot to do with the timing and the size and quality of the plant purchased, as well as how it was cared for and transported in its dormant state. Not every nursery specializes in bare-root stock, so it's worth taking some time to shop around for a reliable source. If your favorite nursery doesn't carry bare-root stock, ask them to recommend someone who does. A plant's dormant period lasts only for a limited time so shop early. Look for trees, shrubs, and plants with strong stems, and healthy, well-formed root systems. Avoid dry or slimy roots, and plants that are starting to break dormancy (leaf out). Prepare for transplanting before your bare-root stock arrives. This includes clearing weeds, digging holes, and obtaining any necessary supplies like pots and soil amendments. Bare-root plants intended for containers need pots large enough to fully extend their root systems and allow them room to grow. Excessive mold; a soft crown, or slimy, rotten-smelling roots. Very dry or brittle roots. Extensive amounts of broken stems and roots, or other visible damage. Ideally, bare-root plants should be transplanted immediately after receiving them. They should never be allowed to dry out. Most growers will include detailed planting instructions with their stock. Make sure you read them over carefully before getting started, and contact the nursery or greenhouse if you have any questions. Many times you'll be instructed to soak the plant's roots in water for a period of time (30 minutes to a few hours) before planting to ensure proper hydration. 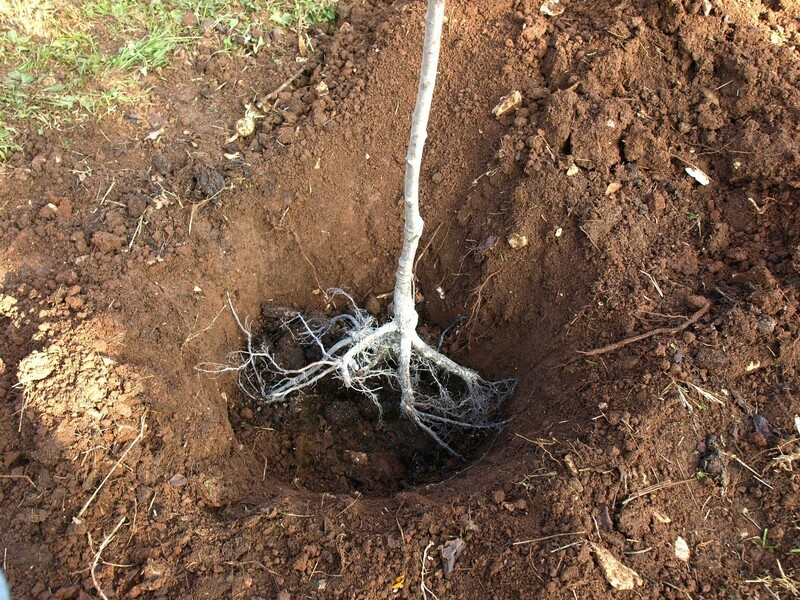 If for some reason you need to delay planting your bare-root stock by a day or two, you need to take some extra precautions to ensure their survival. Trees and shrubs can be "heeled in" by laying them in a temporary trench dug in the shade, and covering their roots with moist soil or sand. Smaller plants can be temporarily potted-up and moved to a cool location, or tucked back into their packaging material and stored for a day or two in the refrigerator (at 35-38 degrees F).